No matter where you come from or whatever your past, you can join us in living a life beyond belief. We hope that you will join us at CCC for one of our weekend worship services. Whoever you are, and regardless of your past, CCC is a place for you to experience life transformation. The information on this page was designed to help you as you plan your first visit to CCC. It's a good idea to arrive about 15 minutes early. 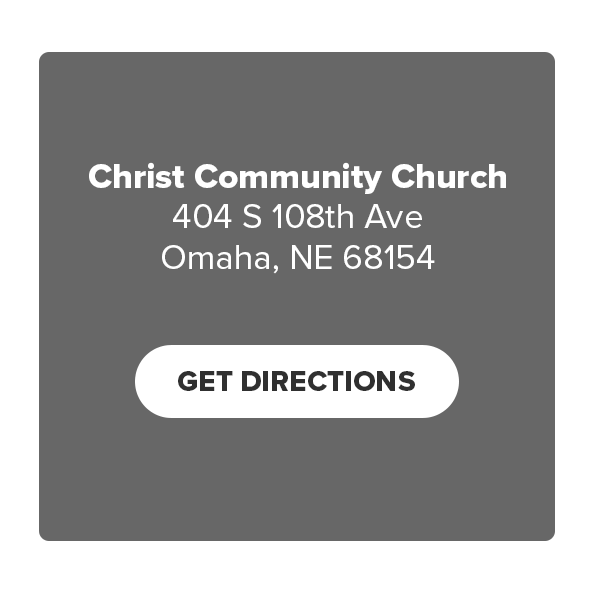 That way you'll have time to check your kids in at CCC Kids and grab a cup of coffee before heading into service. Kids programming is available for children birth through fifth grade at each service time. Middle School large group meets at 10:45 AM in the Student Center. Mark Ashton serves as the Lead Pastor of Christ Community Church. Mark began at CCC on April 1, 2006. He is passionate about taking the gospel to the least reached people, in the most difficult places on earth, where all of the odds are stacked against us. Mark has been married to his college sweetheart, Kelle, for over 25 years. They have four children from high school to college age: Caleb, Caysie, Josiah, and Haiven. Want us to meet you when you get here? The Next Steps area in the Atrium is where you’ll find Start, Connect, and Serve. Here you can get information about the church as well as take a brief tour of our campus, find out how to get plugged into a smaller community group, or register for a three-week class that will help you discover what it means to be a Christian. To learn more, visit the Next Steps area in the Atrium after the 9 & 10:45 AM services.